Stay at the beautiful Villas at the Grand Floridian and enjoy fabulous amenities and easy access to the Disney parks and attractions. 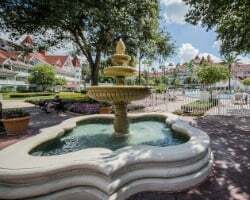 When you buy or rent a Disney's Grand Floridian Villas timeshare through SellMyTimeshareNow.com, you can save up to 70% off the developer price! What’s My DVC Timeshare Worth? The Villas at Disney's Grand Floridian Resort and Spa gives guests a luxurious, Victorian-style escape paired with the magic and whimsy of Disney. Located just one stop from the Magic Kingdom, you'll love the convenience of riding the complimentary Resort Monorail to get to all of your favorite Orlando theme parks. 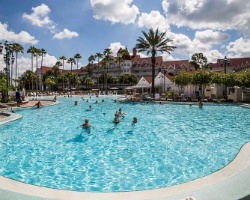 On-site at the resort you can cool down at the Beach Pool or the Seven Seas Lagoon, ride down the water slides, indulge in a full body massage at Senses Spa, and of course dine with your favorite Disney characters. The Villas at Grand Floridian come in three sizes—studio, one-, and two-bedroom. Each give you the choice of a standard view or a lake view to enjoy from your private balcony. The spacious accommodations give you and your family plenty of room to spread out and relax while still enjoying each other's company lounging in the living area, making a meal in the en-suite kitchen, or watching fireworks light up the sky over Cinderella's Castle. Ready for a fun-filled Disney retreat? Start planning today by filling out the form on the right or talking to one of our independent timeshare resale specialists by calling 1-877-815-4227. 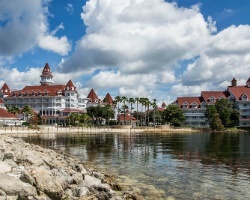 DVC Grand Floridian timeshares are sold out from the developer, making the resale market the only place to purchase this sought-after property. Besides that, Disney's Grand Floridian Resort & Spa are advertised by-owner at prices up to 70% off. When you purchase a timeshare from the actual resort, there are extra fees and commissions tacked on to the total price. Whereas when you buy resale, you are just paying for the true value of the timeshare. 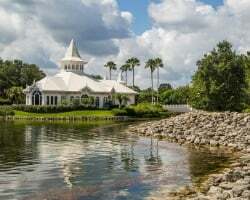 So even though DVC timeshares often go fast on the resale market, you can still find a great deal on an incredible Disney vacation. When you browse our Disney's Grand Floridian Resort & Spa timeshare resales, you will find deeded timeshare properties with annual usage. Each timeshare is allotted a specific number of DVC points that you can use to make reservations at your home resort, other resorts in the DVC network, or affiliated vacation ownership resorts. If you've been longing to own a Disney Vacation Club (DVC) timeshare for some time, you are not alone. These attractive timeshares are only available on the resale market. This points-based vacation club offers many membership benefits that allow owners to enjoy incredible vacations with great perks time and time again. You are never stuck visiting the same resort every year, you have a plethora of options. Make an in network reservation using your points to stay at one of the other DVC resorts. Or, make an out of network reservation at an affiliated resort. While you will save a large amount of money buying resale, there are resale restrictions you should be made aware of to ensure you know exactly what you are paying for. Contact our experts for full details. The Villas at Disney's Grand Floridian Resort and Spa is also affiliated with the world's leading vacation ownership external exchange company, RCI. With the purchase of an annual RCI membership, you can access their thousands of timeshare resorts worldwide. Their exchange process is comprehensive and simple. Disney's Grand Floridian Resort & Spa is also an RCI Gold Crown rated resort, which gives you the highest trading power with in the vast RCI network. Disney's Grand Floridian Resort & Spa offers such an incredible wealth of amenities and services that you will look forward to every moment you get to spend here. From the outdoor pools with the poolside cabanas, movies under the stars, spa treatments, and Pirate Adventure Cruises—there is never a dull moment! There are also more than 10 unique restaurants, lounges, and cafes right on-site for character, casual, and fine dining. You will truly enjoy the convenience of the free monorail transportation that gets you to and from all your favorite parks. Just stops away resides the Magic Kingdom, Epcot, Future World, and even Disney's Typhoon Water Park. Lake Buena Vista is also located within minutes of gorgeous golf courses and high-end shopping outlets and boutiques. Already Own at Disney's Grand Floridian Villas?